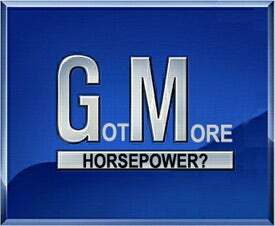 GM announced in a press conference this morning that its turnaround progress was proceeding so well that significant layoffs were needed. Oh, and please, send money. But the more pressing concern this week is to come up with $15 billion through cuts to the cost of salaried employees, particularly among white-collar staffers, along with spending in areas like health care costs and dividend payments. As part of its second restructuring this year, the company also announced that the 2010 Cadillac CTS Coupe and Saab 9-4X have been green-lighted. Details on where the job cuts will hit hardest were absent, but if our job description had the word "truck" in it anywhere, we'd be dusting off the resume quick-like. More analysis after the jump. Prior to the news conference, an anonymous GM executive familiar with the plan said, reportedly with a straight face, "It will be a clear message on the ways we will restore our health, our measures to realign capacity. It's tough medicine, but it's real." Unlike every wave of job cuts since 1973, this one is REAL. Well, that should do it then.